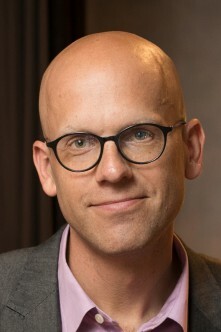 Andreas Ekström focuses on the online world, media, and digital equality as a senior staff writer for the Swedish daily newspaper Sydsvenskan. Having written a number of books, Andreas turned his journalistic curiosity towards the ever increasing influence of Google. In his national bestseller, “The Google Code”, Andreas took a look at the search giant and what it said about society and the world. His latest talk, “Seven ways to own the world”, is a mind-blowing exposé of the battles of the digital revolution and a call to the world for digital democracy. His journalistic approach, combined with his dynamic delivery has made Andreas one of Europe’s most sought-after futurists. He has been a TED speaker, with over a million viewers, has spoken in more than 20 countries and has been translated in over 30 languages.